Our team is experienced in managing logistics for both small and large companies. Our services include truckload shipping, freight consolidation, invoice preparation, and specialized customer desks that manage your needs remotely. Holland TMS doesn’t just tell you that we provide “White Glove” service, we show you daily by taking your transportation stress away. Holland TMS understands that you have many options when it comes to shipping truckload freight, but not all 4PL companies can provide you with the “white glove” customer service that you deserve. Our team has many years of experience in providing exceptional truckload services to our customers. Our performance speaks for itself. Companies are always looking for shipping options that are both environmentally friendly and competitively priced. For shipments over 750 miles, Intermodal, or rail-plus-truck, services are for you! 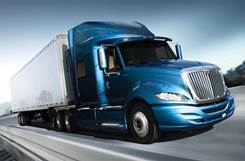 This service provides companies with more equipment and often a lower price to truck transportation. Our carriers are the backbone of our operations. 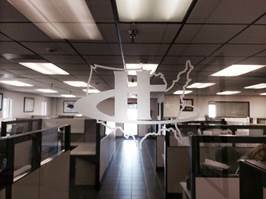 Holland TMS is always searching for the best of the best carriers in the industry to haul our customer’s freight. We understand the daily challenges and work hard to find solutions for our carriers. If you are looking to work with a company that appreciates your contribution to the industry daily, give us a call! Got a transportation or logistics need? We believe we can help you find the right solution.